TaxAssist Accountants | I Made a Loss This Year, Whats the Best Way to Reduce My Tax for Next Year? I Made a Loss This Year, Whats the Best Way to Reduce My Tax for Next Year? Q: I have a sole trade and made a loss of €10,000 for the year. I have been told my only option is to carry this loss forward to reduce my tax next year, is this correct? A: If you have other sources of income in the year, for example P60 employment income, the loss can be offset against this. A refund of tax will then be due back to you for the current year. If you are married and jointly assessed the loss can then also be offset against your spouse’s income. Any unused amount of the loss can then be brought forward to reduce any future profit from your sole trade. 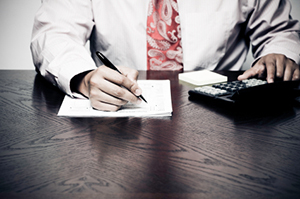 You should always seek advice from your accountant to determine the most tax efficient use of losses.